A do-gooder who was trying to calm down a restrained, suspected offender in Chesterfield town centre ended-up lashing out and punching another man. Mohammed Lawal, 50, of Malson Way, Newbold, Chesterfield, had been trying to help security guards after they were restraining a suspected offender at Low Pavements, Chesterfield, but the defendant punched Richard Wragsdale who had told him not to interfere, a court heard. 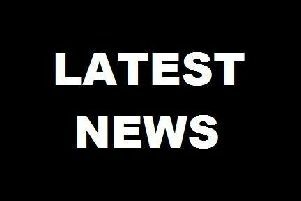 Prosecuting solicitor Lynn Bickley told a Chesterfield magistrates’ court hearing on Wednesday, on April 18: “Mr Wragsdale is the victim. On March 22, at about 1.45pm, he was walking around Chesterfield town centre and heard a lot of shouting coming from the entrance to McDonald’s and saw a young male pinned to the floor by security. Mrs Bickley added that Mr Wragsdale tried to tell the defendant that the situation had nothing to do with him but Lawal punched him. The security guards had been restraining a male who was not connected to the defendant or the complainant, according to Mrs Bickley, and they stated that the defendant was telling the male to stop struggling and to calm down. They also stated that the defendant then lunged at the complainant who was saying the incident had nothing to do with the defendant. Lawal disputed to police whether he had made contact with the complainant after he had lashed out but Mrs Bickley said there was CCTV footage confirming there had been a punch to the victim. The defendant pleaded guilty to assault by beating. Defence solicitor John Wilford said Lawal had been trying to calm the man on the ground down and when Mr Wragsdale spoke to him he became frustrated and he threw a punch. Mr Wilford added that Lawal has mental health issues but these have been under control with medication for several years and he is not someone who comes to the attention of police. Magistrates fined Lawal £40 and ordered him to pay £85 costs, a £30 victim surcharge and £50 compensation.